Stress is not entirely evil that it has to “disappear” off the face of the earth. When the daily challenges of life are managed well, at home or in the office, you can actually make stress work to your advantage. It can provide you with exhilarating days and unleash greater productivity in you. However, too much stress can overwhelm you so much that it will affect your life. It can wear you down. And it can create a dent in your relationships. When these things happen, then and only then will you need to put stress out of its misery—to completely destroy it. Now here’s the fantastic news: it doesn’t have to cost you a thing. Unlike other traditional ways of coping with stress (e.g., drinking to “take the edge off,” eating unhealthy food, and smoking), this one, easy and fun tool isn’t just free. It’s also very effective. Guided imagery is a well-known stress management technique. Imagination is your primary source for creating images of places and times that help you feel relaxed, calm, happy—peaceful. In other words, your happy place: that day when you had the whole house to yourself; that time you camped under the stars in Peru; the day you scored the winning touchdown in college football; the moment you fell in love; when you went swimming under a waterfall; the first time you saw a Polar bear, or when the family spent a day on the beach. So you can use any memory or use any detail that holds great significance for you. Do not mistake visualization for guided imagery, though. Visualization is more about arriving at an outcome, wherein you “visualize” closing that major deal or getting that important client, whereas guided imagery focuses more on managing your stress. Varying studies have indicated the powerful effect of guided imagery on managing stress. 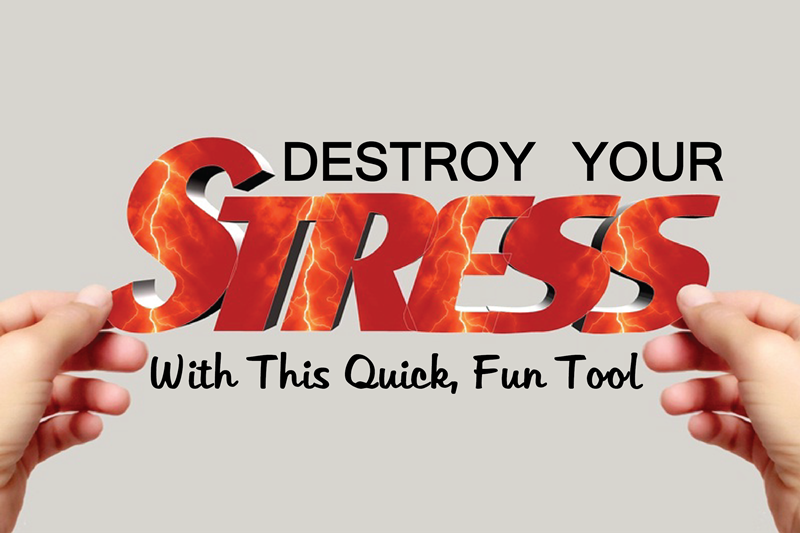 The U.S. Veterans Administration’s research reveals this stress management tool is useful in treating post-traumatic stress disorder (PTSD). Studies from the University of Pittsburgh and the Cleveland Clinic also show the positive effects of guided imagery. The Mayo Clinic adds that guided imagery can improve your ability to manage stress and reduce the severity of migraines. The key to guided imagery is using all of your senses. It’s not just about picturing that one moment in time, that perfectly calming place, or that one person who relaxes you. You also need to feel, smell, and even taste what you are imagining. When done successfully, the entire imagery transports you to an experience that will effectively destroy that stress you’re feeling. All you need is a quiet place and an image that will take you to that calm, peaceful, happy place. Then use all of your senses to truly experience that moment, that memory. Alternately, you can use an audio recording or follow an instructor to lead you to that happy place.